Accessory Genie - Consumer Electronics and Accessories Industry News: Game of Thrones Spoiler Alerts! Game of Thrones Spoiler Alerts! Last week was the exciting premiere of Season 5 of Game of Thrones. The internet was ablaze with discussions, leaks and more! If you didn’t watch it, I’m sure a co-worker, someone at a restaurant or a person walking down the street informed you of what you missed. The latest craze is all the major plot twists revealed because of the leaks. If you don’t wish to discuss future twists, now is your chance to stop reading. **SPOILER ALERT** If you read the books you wouldn’t have to rely on the HBO video leaks. All the plot twists are strategically laid out in printed word, on pieces of paper that are numbered and bound by a cover. Hopefully this didn’t ruin Episode 2 for you this weekend! On a more serious note, do you think Khaleesi’s dragons will ever accept her back as their mother? If my mother locked me up in a dark dungeon, I’m not sure I’d be able to forgive her. Despite this fact and speaking from experience, dragons are extremely tough creatures. Only time will tell if they accept her back, or once again, we could read the books. Speaking on tough animals and items, we’ve released new GOgroove earbuds that are soo tough and rugged, that they’re backed with a Lifetime Warranty, although we expect you’ll never have to use it. These earbuds are built with tough aluminum alloy and a cable that’s 3-5 times thicker than your average earbuds. The Y connector and audio plug are filled with a super dense solid injection molding and encased in a protective, flexible silicone overlay to ensure you’ll be using these bad boys for years to come. 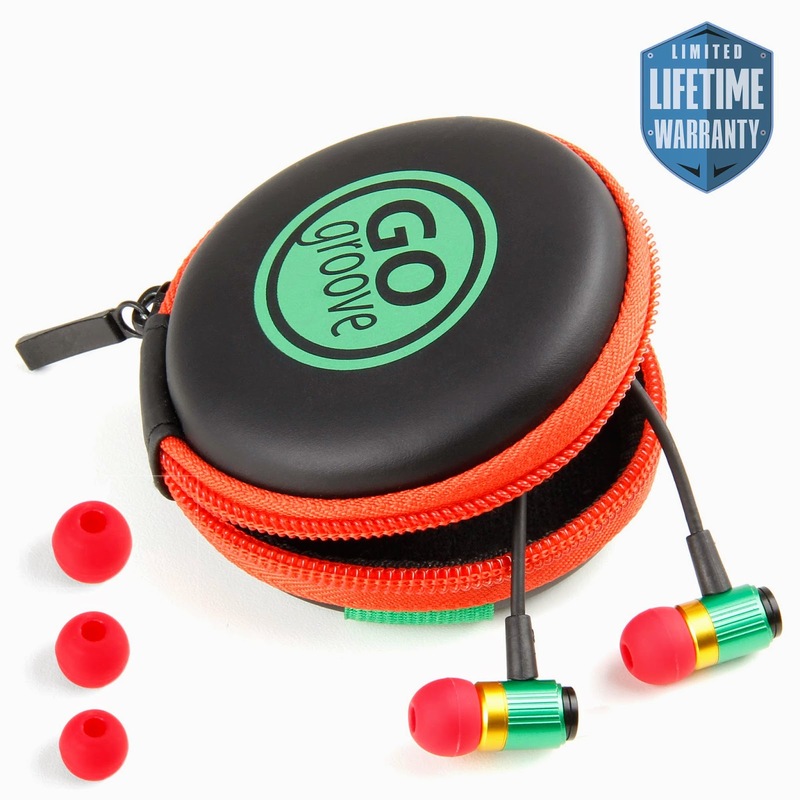 Named the GOgroove AudiOHM RNFs, these earbuds come in both a green and a rasta color. They come with 3 different sized ear gels and a Lifetime Warranty, making the RNFs the last earbuds you’ll ever need.